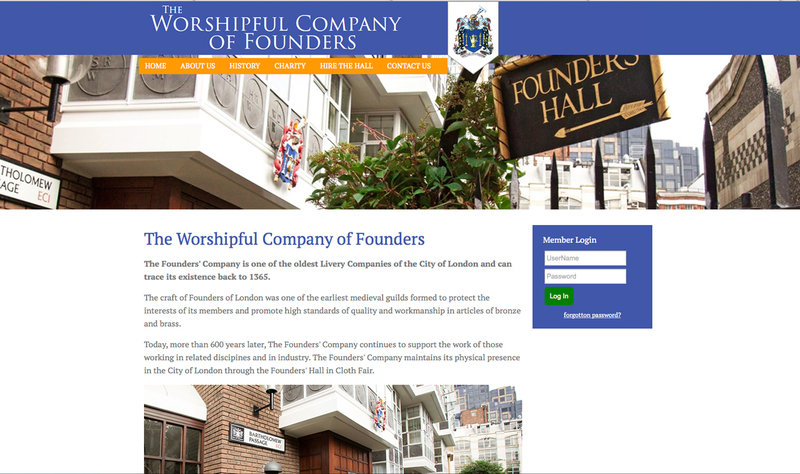 "As a City of London Livery Company, our origins can be traced back to the early part of the 14th Century. Therefore, the past (history) is very important, but it only has relevance if there is a future. A state of the art website is one of the means with which the Livery can engage with its younger Liverymen, in whom the future lies. We asked We Build Websites to create a website, using the most up to date technology that (a) is easy to navigate, (b) is simple for the in-house team to update; (c) has sophisticated functionality, allowing members to book events on-line thus triggering automatic confirmation, financial collection and accounting resources; and (d) can be developed in time into the main administration system. The brief given to We Build Websites stated these clear objectives, but allowed them - as the experts - the freedom to consider other angles, provided they explained exactly what would result and what would be the impact on cost. This paid dividends. Those involved at our end are exclusively unpaid volunteers from the worlds of commerce and business who often have other commitments of greater priority but who, nevertheless, expect results when they are ready for them. Deborah and the WBW team embraced this rather lopsided arrangement wholeheartedly. This meant that the work moved smoothly through the stages and the website went live almost on time. Any delay was entirely our own fault." 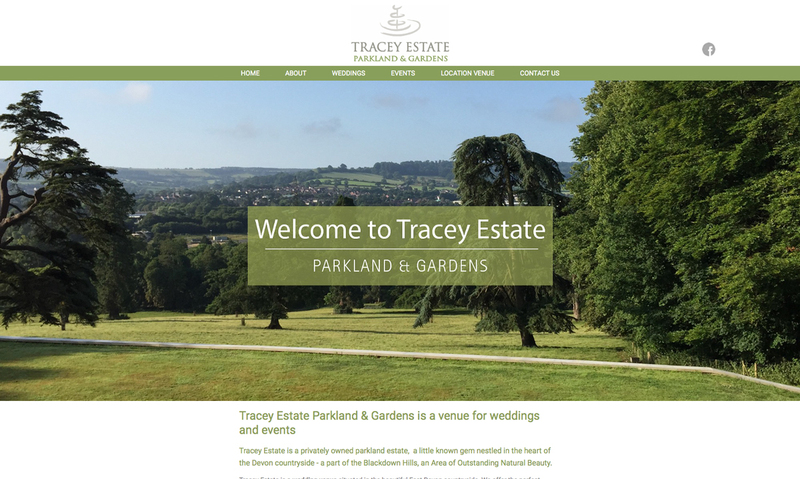 "Starting a new business in wedding and events meant there was a lot to think about and plan, we knew the website was important but juggling the design and maintenance of this with everything else was difficult. Although we knew what our values were and had a clear vision on how we wanted to evolve we just weren’t sure how this played into our website which is where We Build Websites came in. 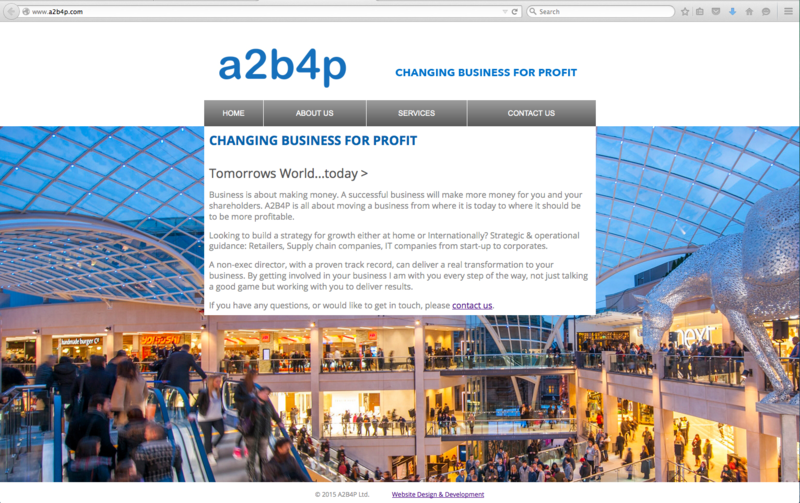 Working with Debbie and team really gave us clarity on the message we wanted our website to give our prospective customers and investors and looking back we should have done this a lot sooner! Since working with We Build Websites and implementing the new website we have noticed how perceptions around our new business has changed and we have seen viewings and bookings increase significantly too. In hindsight this makes total sense; we use the internet and websites in almost every aspect of our personal and professional lives and so getting the framework to our website right has really enhanced our reputation. Once our new website was set up, a handover and training session meant that we are able to control what is added to our website without having to go through a middle man. If we have a spare moment of an evening to add pictures or change information we can do this and it is just so easy. We Build Websites has helped make this whole side of our business more accessible and easy for us to control. We were really pleased to have the advice and support from the team but were reassured to be able to make the final decisions on how the website looks and feels. Marketing feels like a bit of a minefield when you are starting a new business but this way our website has been set up for us means that even though we are complete novices, we have the confidence and ability to ensure our website is never out of date." "Debbie and the team at We Build Websites have been incredibly helpful in getting my website up and running. For someone who is not into programming this was a daunting task but it was made very simple and painless by their excellent step by their step approach. The best part about their service is that they never made me feel I was out of my depth or comfort zone, no jargon, no hidden black arts and most importantly no loss of control they walked me through the whole process. The editing process built into their solution is very simple to use and intuitive, even a beginner can use it effectively and get what you want. The creative process is then guided by Debbie and team making it far more effective than a build your own site. This really is the very best option for people building their first site, providing a significantly better end result than a build your own whilst staying within your own knowledge and control. The team are so friendly and helpful that you always have a fall back to help guide you. An enjoyable and ultimately very successful experience, I would recommend it to any new business or someone who like me was trying to improve on a build your own site." "As a recently registered company we sought advice from We Build Websites on branding and marketing. We can honestly say that Debbie has provided a professional yet personable service of the highest standard. We requested advice on branding and design of our website and marketing material, we were supplied with several options to consider, incorporating both our original concept and Debbie's suggestions. We would highly recommend We Build Websites, with superb attention to detail, swift response times and quality service, we will continue to use them throughout our journey and thank Debbie and her team for all their help and support."